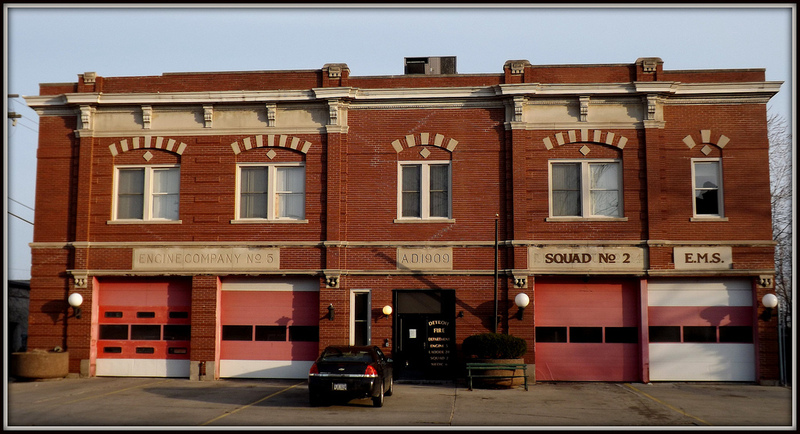 8 Historic Fire Stations - Redstone Architects Inc. Originally known as the Britannia Fire Company of Bridgetown because it was founded when the U.S. was still apart of Britain, the Mounty Holly Fire District No. 1 was organized in 1752. The name was changed in 1787 because the original name was considered unpatriotic. The station itself was built in 1798, but the station is much smaller and looks very different from modern fire stations because it only stored the pumping injun, not a full fire truck with an apparatus bay. The station is the oldest fire station still standing, even though it is no longer used as a fire station. Today the original firehouse sits next to the current firehouse, which was built in 1895. The Louisville Fire Station No. 7, which claims to be the oldest continuously used fire station in America, was built in 1871. It uses Victorian style principles, like other buildings do in the surrounding neighborhood. Unfortunately, the firehouse was closed in 2009 because of budget cuts and the city’s $20 million budget deficit. However, it was closed without any danger to residents because a 2006 study found that the station was redundant, and as far as I can tell, it still sits empty. Engine No. 5 in Detroit was opened in 1865, but moved locations in 1877. Then in 1909, a new building was built at its current location. Ninety years later, the building was in desperate need in renovation. Redstone Architects took charge and brought the building up to modern day standards, which is especially important because the other nearby fire stations have since closed. 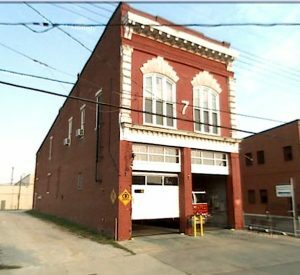 Eventually, in 2012, Engine number 5 was disbanded, but the ladder 20 apparatus is still housed in this location, and the building is still known as Engine No. 5. Denver Fire Station Number 1 was built in 1909, and was used as a fire station until 1976. It is supposedly one of the most haunted fire stations in America. 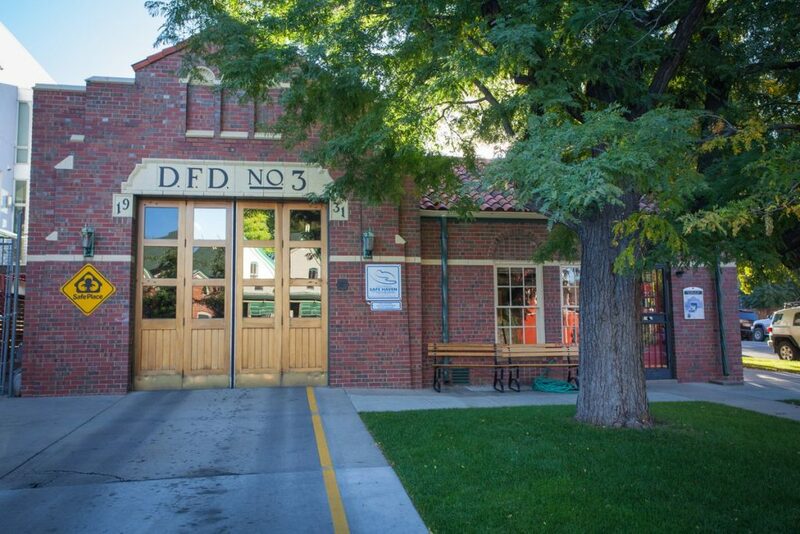 The building is now the Denver Firefighters Museum and Restaurant. One spirit, known as Tom, was in charge of the horses that pulled the old fire engines, but nowadays his ghost causes mischief around the station, like knocking over piles of paper and fire bells ringing on their own. Another spirit is known as Caleb, and is the ghost of a man who died near the building and is supposedly buried in the building’s supply space because the concrete floor never sets properly. Because of this paranormal activity, the museum is a popular place for ghost hunters. Engine Number 3 is the oldest operating fire station in Denver and was built in 1931, and was an all-black fire department until the 1950s. The fire station is still in use today, and is a well-known landmark in Denver. The Old Plaza Fire House was built in 1884 and was designed by Dennis Hennessy. 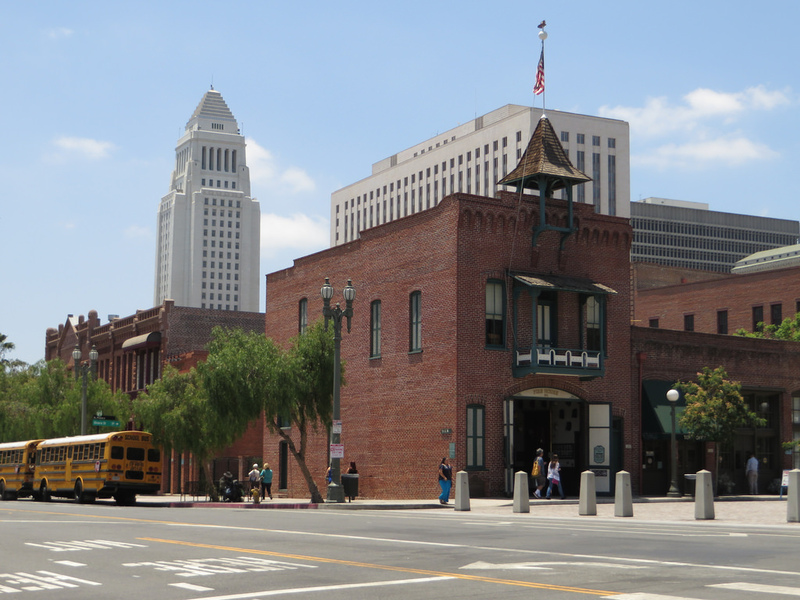 It was the first building in LA to be used for fire engine equipment, and it had a turntable in the floor so that the horses that pulled the fire wagon didn’t need to backed in or out. It was used as a firehouse until 1897, before being renovated in 1960 for use as a museum, which is still open today. The headquarters, designed by Hans Gehrke in 1929, is a Neoclassical building made of brick and terra cotta. In the early 1990s, Redstone Architects worked on structural renovations for the building. The building was used by the Fire Department until 2013. The fire engine doors are lined by arches made of terra cotta and rope moldings. 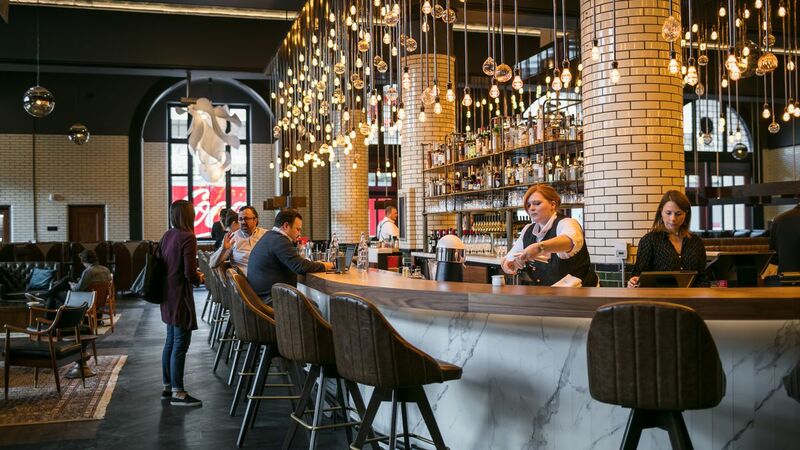 The building is currently used as a boutique hotel, designed by McIntosh Poris Associates and Simeone Deary Design Group The Detroit Foundation Hotel, and a restaurant called The Apparatus Room, both of which opened in 2017. 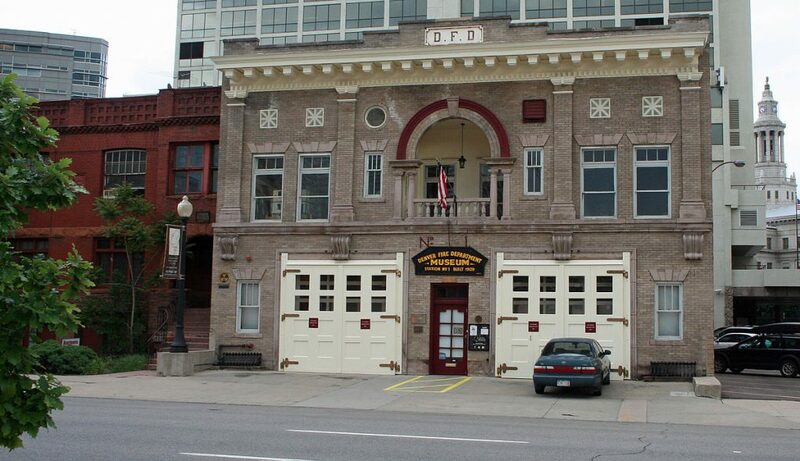 Built in 1883, the Detroit Fire Department Engine Company #11 is the oldest firehouse in Detroit. 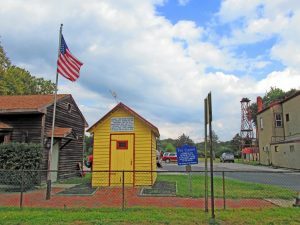 It was designed by Gascione and Sons Architecture Firm, and originally, this fire house used a steam-powered engine and wagon pulled by horses. In 1916, the firehouse switched to gasoline powered engines, and in 1976, the building went out of use. 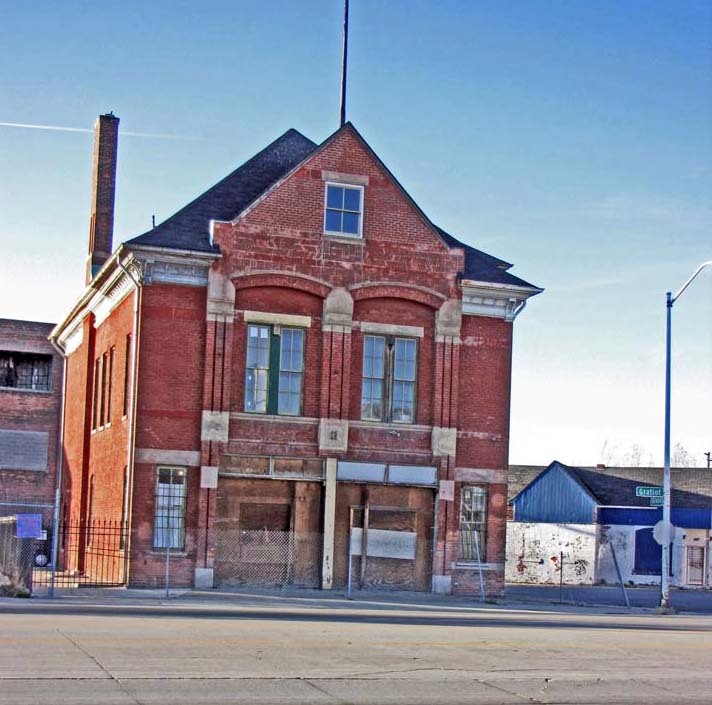 It remains vacant and boarded up despite being listed on the Michigan Registry of Historic Sites in 1975. Redstone Architects, Inc. offers a full range of architectural services to governments, institutions and the private sector including law enforcement, fire stations, courthouses, and municipal architecture. Don't miss out on our useful tutorials and the news on our latest projects. Redstone Architects | © 2017 All rights reserved. Site powered by Blayzer.